Hugo Weaving is an actor popularly known for playing iconic roles in blockbuster movies including “The Matrix,” “Lord of the Rings” among others. Not many people know this but Weaving was actually born in born in Nigeria, West Africa. He has since gone on to make impressive blockbuster movies that solidify him as a leading man. More about him as follows. 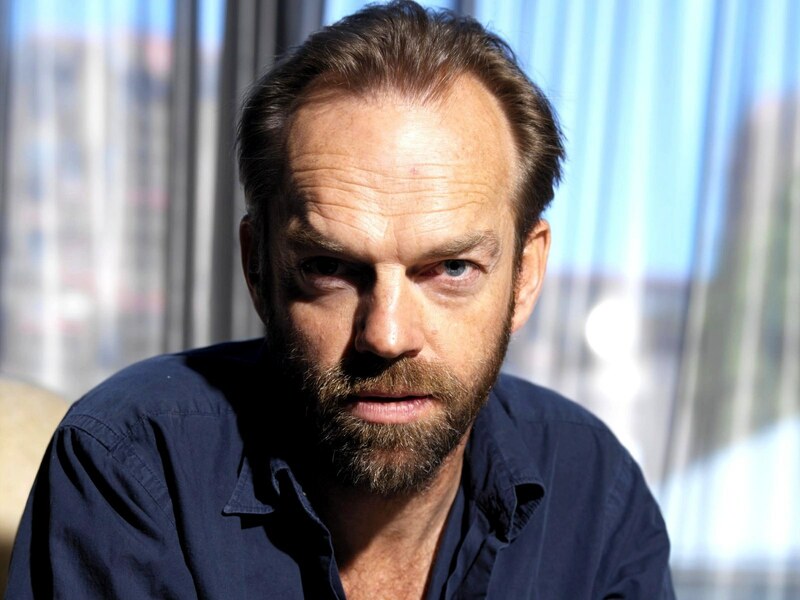 Hugo Wallace Weaving was born on the 4th of April 1960 in Ibadan, Nigeria. His father, Wallace Weaving, was a seismologist, while his mother Ann (nee Lennard) was a tour guide and teacher and they are both of British origin. When Weaving was barely a year old, his family went back to the United Kingdom. They first lived in Brighton and Bedford before moving to Melbourne and Sydney in Australia. They later moved to South Africa for a brief period after which he and his family returned to England once again. For his education, Hugo was enrolled into The Downs School, in Wraxall. In 1973, still at Downs School, he took part in his first theatrical piece The Thwarting of Baron Bolligrew in which he played the character of “Captain Asquith.” When he and his family went back to Australia in 1976, Hugo attended the Knox Grammar school located in Sydney. In 1981, he graduated from the National Institute of Dramatic Art in Sydney. Weaving has two siblings, a brother, Simon Weaving, and a sister, Anna Jane Weaving. Hugo Weaving has had such an amazing career through the years. He first appeared on screen when he got a role on the 1984 Australian television series Bodyline. Here, he played the role of Captain Douglas Jardine, an English cricket captain. In 1988, he played the role of Geoffrey Chambers in the drama Barlow and Chambers: A Long Way From Home. He starred as Jonathan Crow in the 1986 movie For Love Alone. He and co-star Nicole Kidman worked together in the 1989 film Bangkok Hilton. His first award rolled in when he won Best Actor award for his incredible performance in the low budget movie, Proof. Weaving tried his hands on miniseries in 1988 as he appeared in the Australian miniseries The Dirtwater Dynasty. The following year 1989 was a great year that presented Hugo Weaving to fans like never seen before as he starred in the movie “Almost” where he played the role of Jake. He tried his hands on comedy in the 1993 movie Reckless Kelly. His biggest career break to date came on the matrix trilogy from 1993 to 2003, where he played Agent Smith. Another career defining moment came when he played the role of Elrond in the Lord of the Rings trilogy as well as The Hobbit Trilogies (2012- 2014). His most recent movie also released to critical acclaim is the movie Hacksaw Ridge. Weaving is one of the growing group of men in America who do not believe in the institution of marriage. Given the recent spike in divorce especially in Hollywood, Weaving didn’t see the need for one to go through the hassle of getting married in the first instance. As a result of this belief, he has been in a relationship with his girlfriend, Katrina Greenwood since 1984. They have been living together for more than three decades with no major issue publicised. The pair is also blessed with two lovely children. Their first son, Harry was born in 1989, while their only daughter, Holly, was born in 1993. Interestingly, his son, Harry, is also an actor, however, he goes by the name “Harry Greenwood” adopting his mother’s maiden name instead of his father surname. 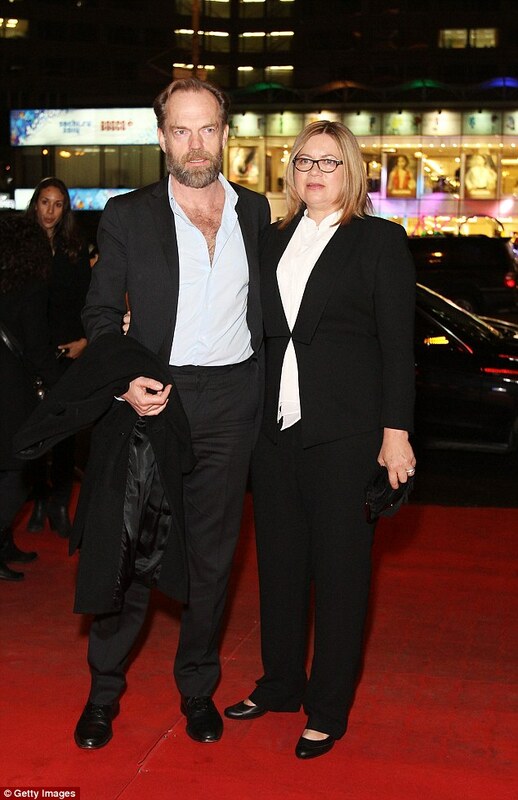 Hugo Weaving is no doubt a good looking man who have stolen the hearts of his fans the time he debuted on the silver screens. In his prime, his pictures were so much adored by his female fans while his male fans wished they had his looks and physique. Although he is currently above 50 years of age now, he still looks ever dashing as he ages like fine wine. One of his attractive features is his height as he stands tall at an enviable height of 6 feet and 2 inches (1.88 m). 1. At 13 years of age, Weaving was diagnosed with epilepsy. 2. His performance in one of the biggest movies Sci-Fi movies of all time – Matrix Trilogy – garnered him lots of nominations. 3. Weaving played the role of Red Skull in Captain America: The First Avenger. 5. He is not too fond of social media platforms such as Twitter and Instagram as he rarely posts his pictures online. 6. He became an ambassador for “Voiceless”(an animal rights organization in Australia) in 2004. For the promotion of the cause, Hugo attends events, helps in the judging of annual grants recipients as well as giving interviews.